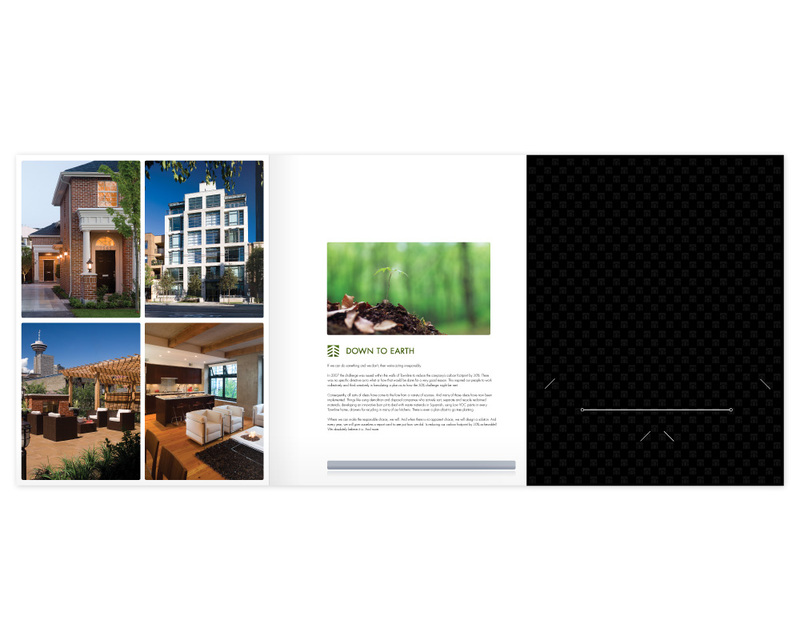 The corporate brochure defined the company. 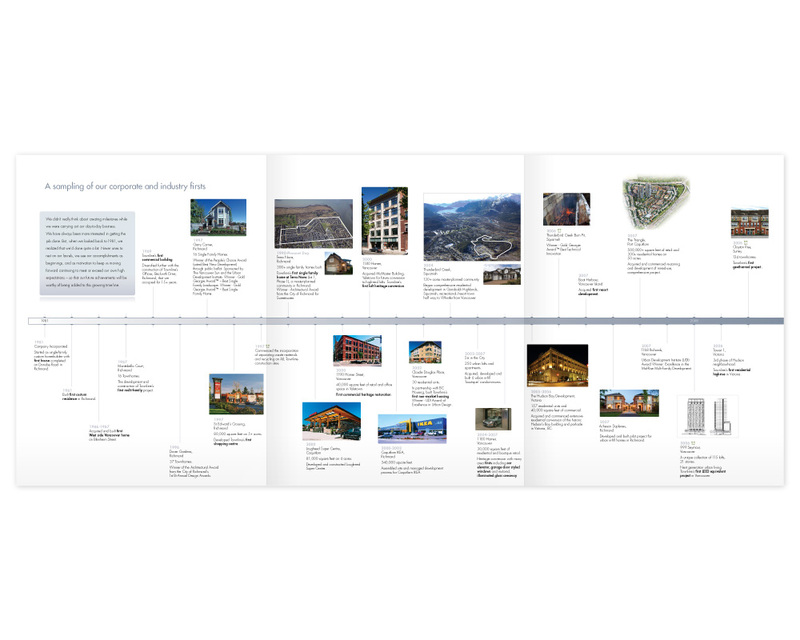 It included an introductory letter from the company president, and a timeline of the company’s milestones in a graphic 3-page spread. 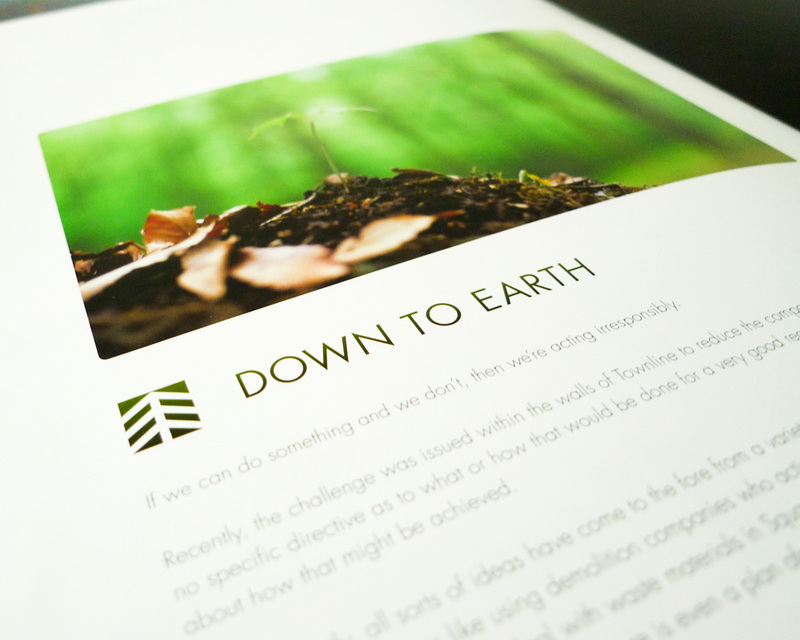 The final page explains the company’s environmental commitment, a program they call ‘Down to Earth’. 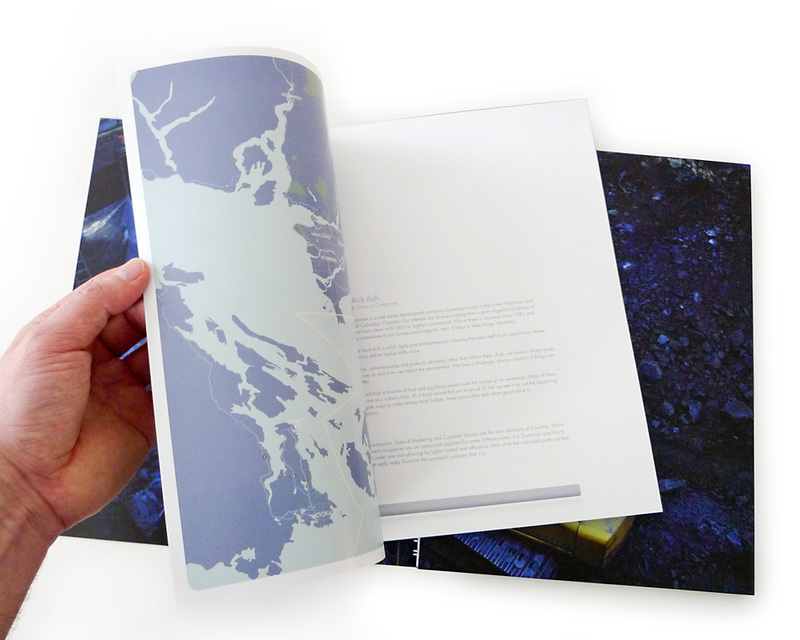 Designed with a back pocket for project-specific information packs, including die-cut areas for a CD-ROM/DVD and business cards. 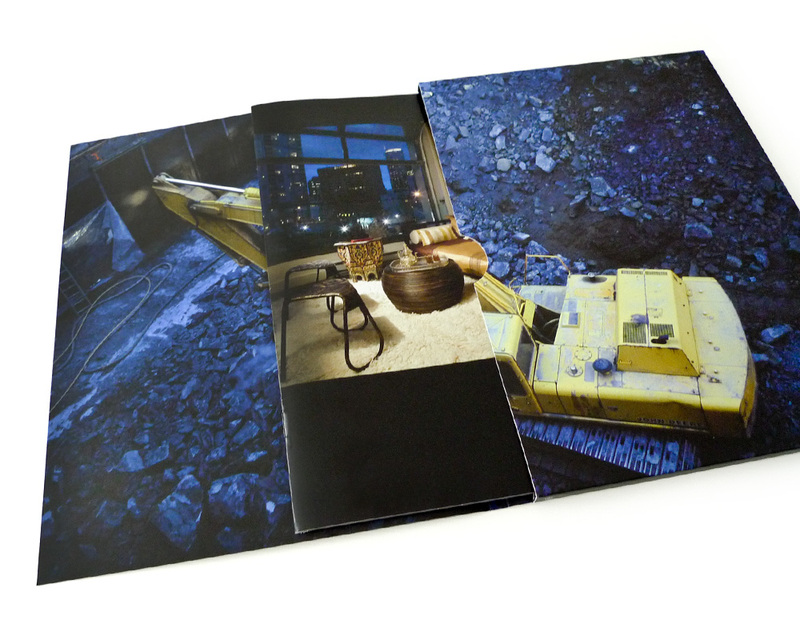 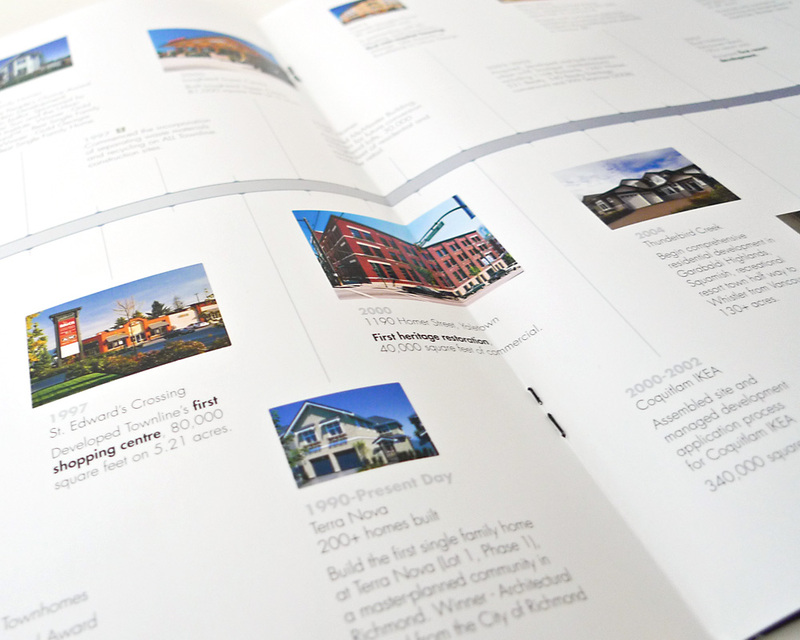 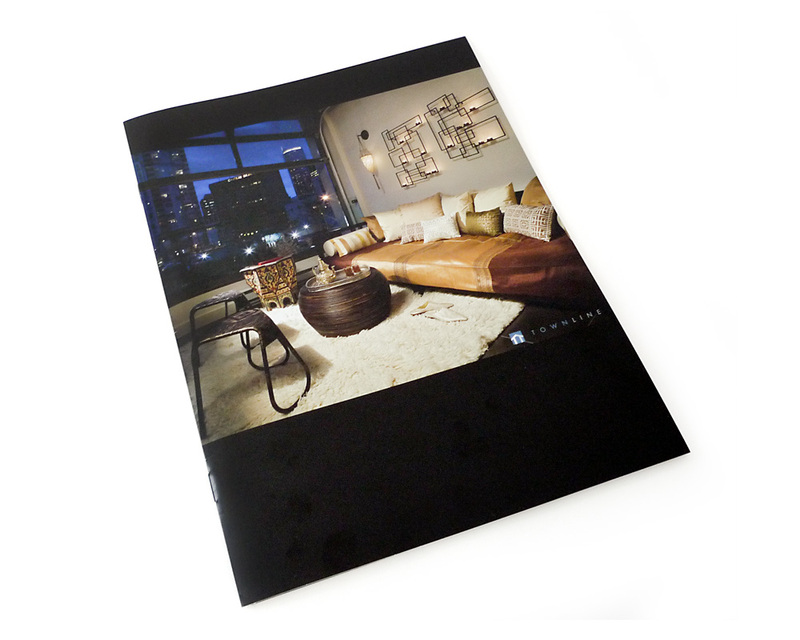 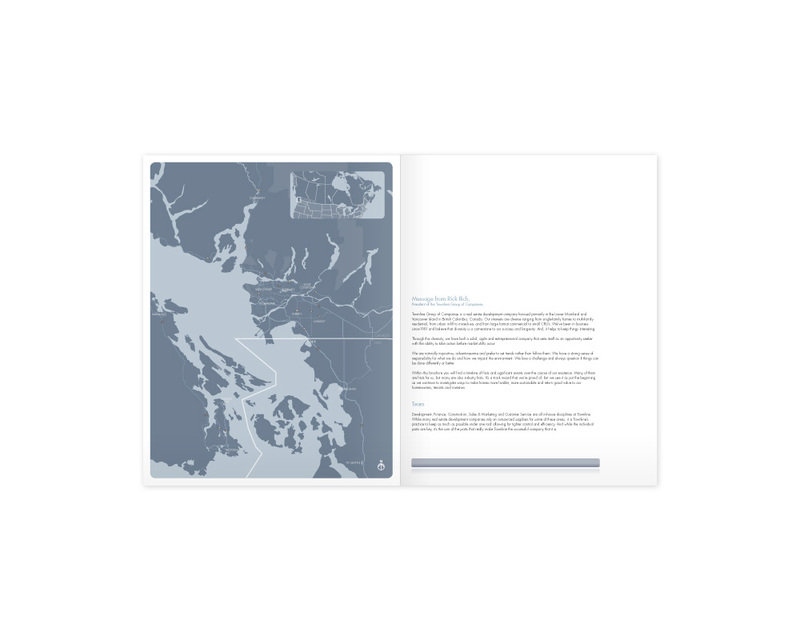 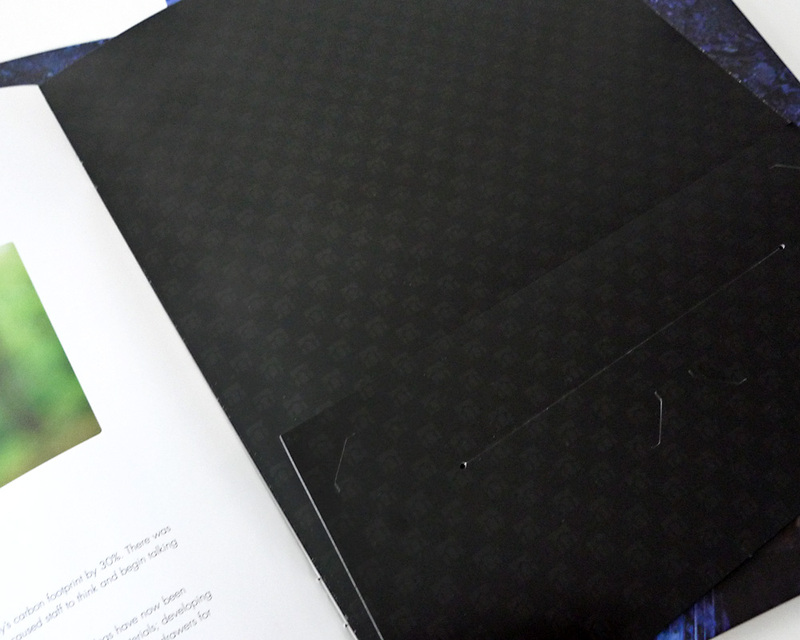 The corporate brochure was designed to fit into Townline’s presentation folder and was also used as a stand-alone piece. 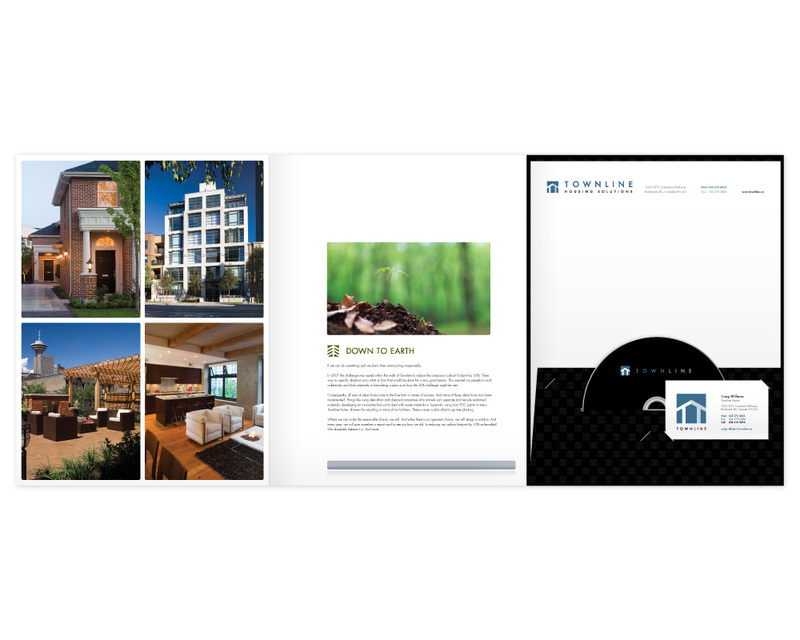 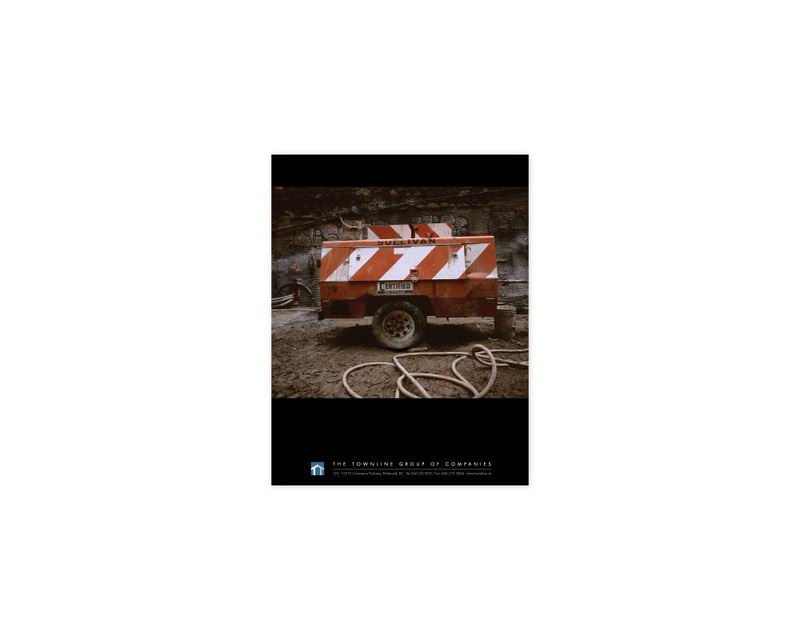 See also the Townline Corporate presentation folder, Townline Display Suite back-lit sign, and Townline Realtor Portfolio books.